Actress Lori Loughlin, known to millions as “Aunt Becky” on “Full House,” bragged about her oldest child going off to college during an appearance in 2017 on the “Today” show. Loughlin, 54, and her husband, fashion designer Mossimo Giannulli, were among the 50 people charged in a bribery scheme on March 12, federal officials said. 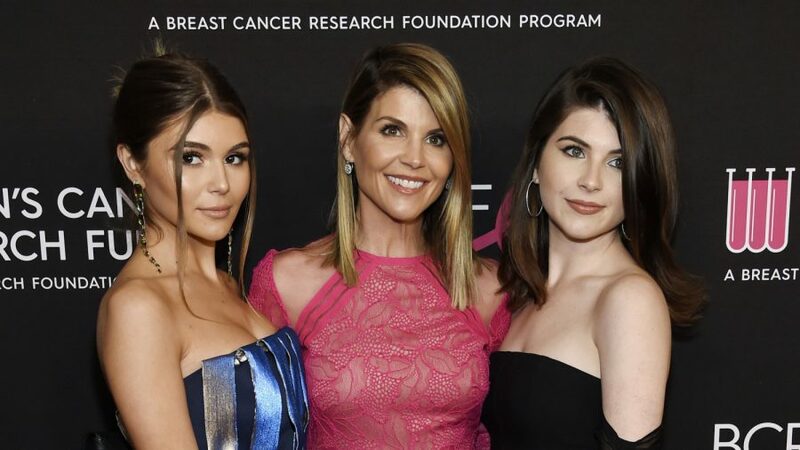 The FBI said they paid bribes totaling $500,000 for their daughters Isabella, 20, and Olivia Jade, 19, to be designated as recruits to the University of Southern California (USC) crew team—despite the fact that they weren’t on the team. The bribe and designation facilitated the daughters’ admission to USC. After Isabella gained entrance to USC, Loughlin and Isabella appeared on the “Today” show and said she was getting emotional about her daughter leaving home. “So many parents watching I’m sure are going through this where they’re about to watch a child go off to college … are you preparing for it in any other way?” Hoda Kotb asked Loughlin. According to investigators (pdf), Giannulli facilitated Isabella’s admission to USC through a school official, William Singer, who was dubbed “Cooperating Witness 1” for the help he gave to the FBI. Because Isabella’s grades didn’t meet the standards of the school, her father asked for help. Singer at one point said he’d discussed getting the girls into the school with a former athletic director, who believed they could tap the celebrity couple for $1 million or more. Instead, the bribes came to about half a million and got both girls in. While Giannulli did most of the work for Isabella, Loughlin was more involved with getting Olivia Jade into the college, including sending an email to Singer and her daughter, asking his guidance on how to complete the formal USC application after Olivia Jade was accepted as a crew recruit. “[Our younger daughter] has not submitted all her colleges [sic] apps and is confused on how to do so. I want to make sure she gets those in as I don’t want to call any attention to [her] with our little friend as [her high school]. Can you tell us how to proceed?” Loughlin wrote. Investigators said that Isabella Loughlin posed on an ergometer for a picture that her father sent to Singer to use in the crew application but it wasn’t clear if she was aware of the scheme. It was also not clear if Olivia Jade was aware of what transpired between Singer and her parents. Loughlin’s younger daughter, though, later spoke several times about not being invested in school even while attending USC. “But I do want the experience of game days and partying. I don’t really care about school, as you guys all know,” she added.